Without the proper lawn and garden equipment, it can be difficult for homeowners to trim trees effectively. And though it may be tempting to attempt this task with rusty shears or old equipment, investing in new arborist tools is sure to pay off. Here’s a more detailed look at why you should never attempt to trim trees and shrubs without the right equipment. Tree pruning inflicts wounds in the flesh that require time to heal. Improper techniques with the wrong tools cause more traumatic cuts that compromise the tree’s health. It may become vulnerable to pests, fungi, bacteria, and other disease-causing infections. In extreme cases, this can kill the tree. 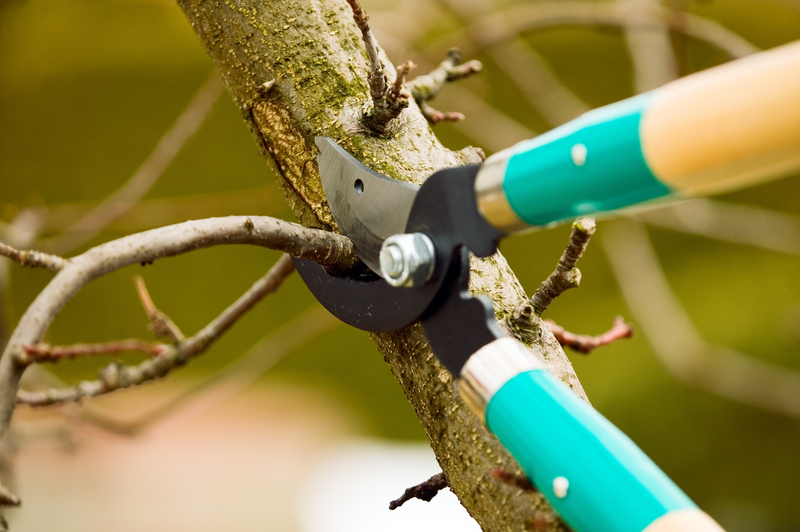 Beyond causing damage to the tree, improper trimming may also lead to property damage or personal injury. For example, pruning a large branch with a chainsaw may cause it to drop onto your roof, fence, or car, resulting in costly repairs. By using the appropriate arborist tools, such as tree climbers for safety or the correct pole saw and pruning heads, you’ll minimize the risk of harming any people or structures beneath the tree. Using improper tools can also have a significant impact on the plant’s natural beauty. Hacksaws, for example, might cause you to make imprecise cuts and end up with an oddly misshapen tree. Also, if you remove too many leaves and flowers, the bark could become sunburned and damaged. Because it can take a long time for the tree to outgrow these effects, it’s best to ensure you have the right equipment for the job. Consider purchasing the latest extension poles and saw blades that will allow you to make precise cuts and protect your tree’s appearance. To avoid these dangers of improper tree trimming, purchase high-quality lawn and garden equipment from Muench Company, Inc in Stamford, CT. Serving New Haven and Fairfield counties for more than 85 years, these professionals offer a variety of arborist tools and supplies to keep your landscape in excellent condition. Dedicated to affordable prices and exceptionalcustomer service, they even respond to requests within 24 hours. To view their inventory of arborist equipment, visit their website. Or, call them today at (203) 323-9712 to learn more about their services. Other Announcements, Events and Deals from Muench Company, Inc.